Hugaldr ... this stone in memory of ... and the bridge made. 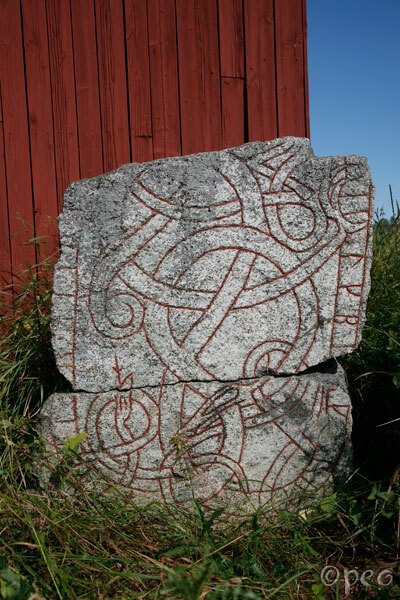 A beautifully designed rune stone. It's a pity that the upper part of it is lost.